11 May 2016 --- Bifodan A/S has announced the market introduction of 2 proprietary probiotic solutions backed by clinical research: Oral Extra and FemiOral Balance. Susanne Andersen Bækgaard, Vice President of Marketing, told NutritionInsight: “Oral Extra is available for immediate sale in Europe and North America as a nutritional supplement. FemiOral Balance will be marketable as Medical Device within a few months, and is pending regulatory clearance before it is released in the US." 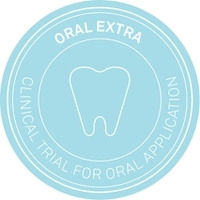 Oral Extra is a unique combination of two proprietary lactobacilli strains, which have been studied in a clinical trial performed by Assistant Professor Mette Kirstine Keller at the University of Copenhagen. Further analysis of microbiological effects and immunological markers is due shortly, and the study has therefore not been published yet. It is expected to be published in a peer reviewed journal. The study was aimed at determining effect on oral health parameters specific to gingivitis, a condition affecting 50-90% of the adult population worldwide. The results were significantly in favor of Oral Extra, which is offered as a lozenge with a cool lemon flavor. FemiOral Balance is also based on a patented combination of two proprietary strains. The effect of this unique combination on vaginal health has been studied extensively, and the level of evidence allows for a medical device certification of an orally administered capsule: “Gingival crevicular fluid is an important marker for inflammation of the gums, and the effect of the administration of Oral Extra is promising,” explained principal investigator and Assistant Professor Mette Kirstine Keller. Bifodan A/S is a distinct partner in probiotic finished solutions for the private label industry. The company develops and manufactures probiotic turnkey solutions for private label customers worldwide. Based just North of Copenhagen, Denmark, Bifodan delivers clinically documented, high quality probiotic products, manufactured at their GMP approved production facility. Bifodan has a long history in probiotic bacteria, as the company was founded by the first Danish dairy to isolate the lactobacillus acidophilus bacteria in 1938. Bifodan has been dedicated to research and development of probiotic nutritional supplements since 1992.